TRAFFIC is at a standstill on the A27 after a serious crash this evening (June 8). The air ambulance is at the scene, which police said was between the Whyke roundabout and the Bognor roundabout, eastbound on the A27 at Chichester. Highways England is already urging people to avoid the area if possible. The A27 is closed between the Bognor roundabout and the Stockbridge roundabout. Highways England estimates the route will not be open again until 6.45pm. Paramedics, police and fire crews are also at the scene of the collision. Sussex Police said the collision between a pick-up truck and a lorry happened at 4.20pm and fire crews are using hydraulic rescue equipment to free one man trapped in one of the vehicles. 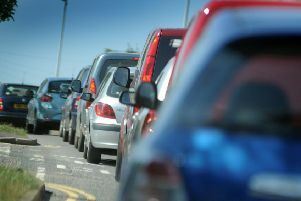 There is congestion up to the Fishbourne Roundabout, on the A286 Market Avenue to the South Street junction and on the A259 Whyke Road to the Blackberry Lane junction (5.15pm).